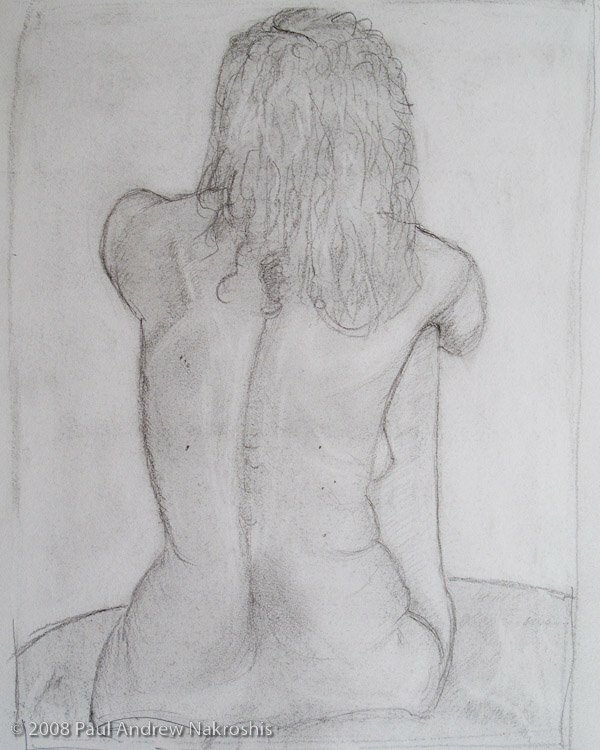 For some reason, I couldn’t draw at the easel today; but this sketch was at least passable. 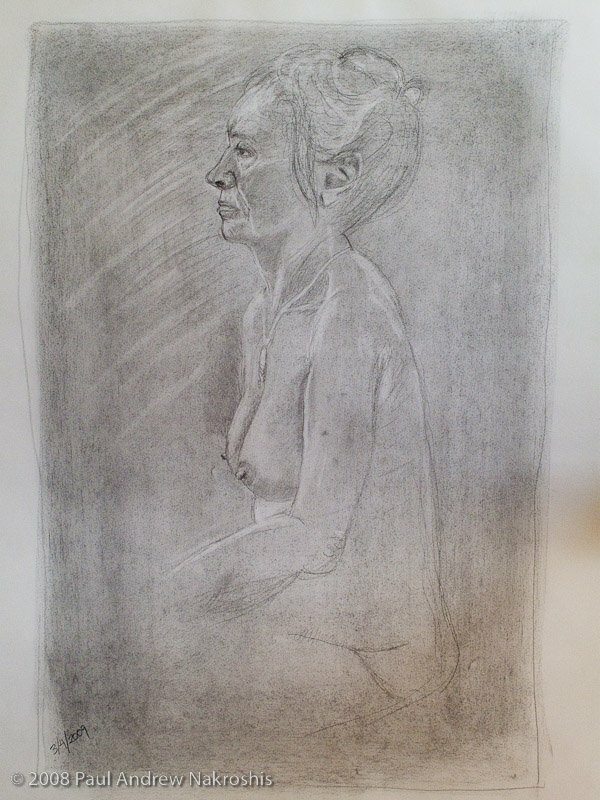 Here is my pencil sketch of our model from today’s life drawing group. 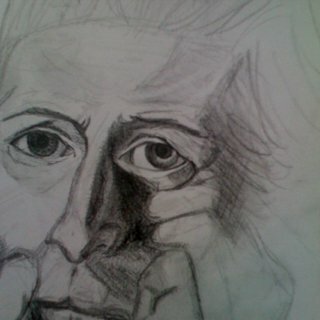 This is the first time I have felt like I’ve drawn a reasonably good portrait. When I was drawing and I realized my sketch was actually coming out okay, I had a feeling best described as a mixture of profound joy and slight disbelief that I actually was making a good sketch.